Here is a beautiful Radha Krishna picture as a goodmorning wish. 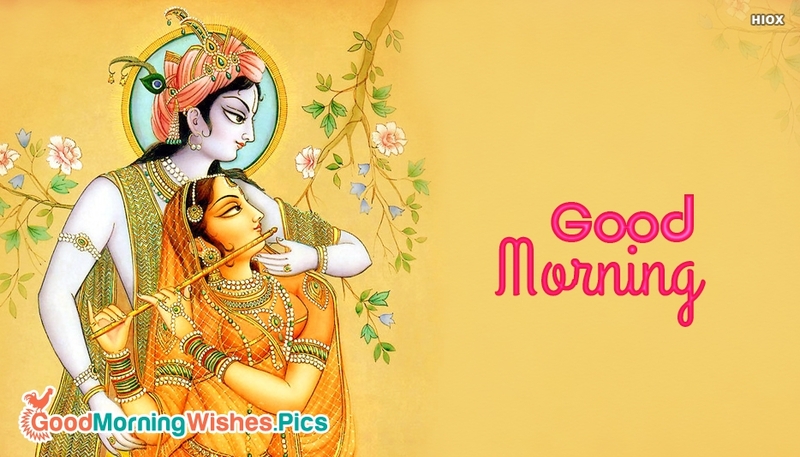 Send this goodmorning wish picture with Lord Krishna and Radha to your dear friends and family and make them feel blessed on this day. Let this "Good Morning With Radha Krishna" picture be a good beginning for them to begin this day with devotion and happiness.